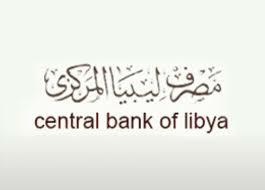 The Tripoli Central Bank of Libya (CBL) announced that a three-tracked framework for the reform of the Libyan economy has been agreed. In a statement released Saturday, the CBL stated that the framework was agreed at an expanded meeting held on Friday evening attended by Tripoli CBL Governor Saddek El-Kaber, Fathi al-Majbri, member of the Presidency Council, Mohammad Takala, Chairman, Committee for the Development of Economic and Social Projects of the High State Council, and a number of advisers and CBL department directors. 1- Solving the Libyan dinar exchange rate issue through the imposition of fees on foreign currency sales and transfers. 3- Establishing a compensation mechanism to mitigate the repercussions and effects of the economic reform decisions on the livelihood of Libyan citizens. It was also agreed that the work of the parties concerned would be continued and that the meeting would be completed on Sunday. Meanwhile, in a separate statement, HSC member Takala revealed that money accrued by the state from the foreign exchange levy ‘‘will be used to finance the Family Allowance, and dealing with bottlenecks in infrastructure and the maintenance of hospitals and schools’’. It will be recalled that reforms of the Libyan economy were agreed by the Libyan parties at a US-brokered meeting in Tunis on 5th June. The four-point reforms are to be in place by next month. It must be pointed out that the Tripoli-based Audit Bureau was neither at this weekend’s CBL meeting nor at the earlier US-brokered Tunis meeting. It has been in open conflict with the CBL, accusing it in its 2017 Annual Report of being directly responsible for Libya’s current austerity conditions. The Audit Bureau would usually attend such meetings as it has been party to all financial and economic deliberations since the 2015 Libyan Political Agreement. In practice, the Audit Bureau, the CBL and the Presidency Council have been sharing authority on financial and economic policy and practice in the absence of the legislature, the Tobruk-based House of Representatives (HoR), playing an active role in Tripoli-based politics and policy. In theory, such economic deep reforms would need the HoR to pass a law. However, the Audit Bureau, in its financial oversight role has the authority to stall any economic reform plans it objects to and its stance on these reform plans is still not clear.